There was really never much doubt. At the end of the day on Wednesday in West Virginia, the state’s online casino legislation officially became law after billionaire Gov. Jim Justice, a Republican, declined to take action on the measure. Justice, who himself owns a property in the state that would be allowed to offer online gambling, had the bill on his desk since March 9. The legislation had a relatively easy time passing both chambers of the legislature this year, after crucial groundwork had been completed in previous sessions. 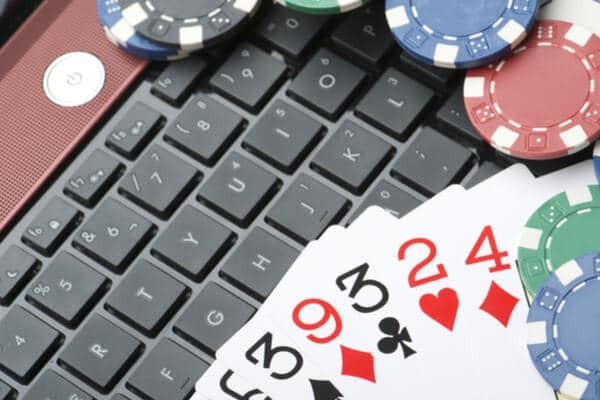 The legislation, which makes the Mountain State the fifth in the country with a law allowing some form of online casino gambling, did dodge a bullet in February when a House committee rejected a proposed amendment to raise the tax rate on the industry from 15% to 35%. Some called the 35% rate a non-starter, which would have effectively stopped the legislation in its tracks. After full implementation, West Virginia is eyeing an online casino gambling market worth north of $39 mm annually, which would yield $5.9 mm to the state each fiscal year. It’s a tiny market compared to the likes of New Jersey, which saw a $298.7 mm internet gaming market in 2018. Backers of the legislation were happy Wednesday after the governor didn’t veto it. Justice also let the state’s sports betting bill become law last year without his John Hancock. Justice’s Greenbrier resort-casino offers sports betting in partnership with FanDuel. The reason for letting the gambling expansion initiatives become law without a signature could be due, in part, to how it would reflect on him politically in his home state. In terms of online gaming, however, Justice also could be trying to keep the law under the radar given the recent Department of Justice opinion on the 1961 Wire Act, which has called into question state-sanctioned online gaming industries that have any component located outside state lines. But there are also plenty of other high-stakes issues that Justice was likely more concerned with, such as a medical cannabis bill that he ended up vetoing. Several factors could have played a role in Justice declining to act on a piece of legislation that on its own merits is historic not only for the state, but the gaming industry as a whole. Timeline for launch of games? According to a state fiscal analysis of the legislation, West Virginia is looking at about $3.9 mm in tax revenue for fiscal year 2021. In order to achieve that, the games would have to launch sometime next year. It’s only late March right now, but expecting the games to be available for West Virginians and visitors to the state by the end of this year is more than likely too aggressive of a timeline. State regulators will be tasked with figuring out how many online casino skins they should allow the brick-and-stick casinos to have, which will of course dictate partnerships in the space. Currently, the likes of FanDuel, DraftKings, William Hill, and Miomni are already involved with West Virginia sports betting, which includes mobile authorization. As mentioned, there’s also the DOJ’s Wire Act memo, which some states are currently challenging in court. Implementing a West Virginia online casino industry around the current legal landscape will be a careful process. The DOJ, under Attorney General William Barr, is unlikely to take any enforcement action against West Virginia, but the state lottery will still be methodical with the online casino rollout.